We recognise that parents play a vital role as educators of their children. We are therefore committed to offering a service that is open, inclusive, welcoming and respectful of the input of the parents. For us to run the crèche beneficially for your child(ren) it is important that you the parents play a role. We need to have your continuous feedback. We provide communication books for each child and the team members will write in them every day until 2 years and then every 2 weeks for pre- school children. It is important that you convey to the staff how your child has been over the weekend and of course to always return the book on the Monday for the team. If for any reason the team members have any concerns during the week they will write it in the book and leave it in the child’s bag. The Baby room, Wobbler room and Play-group room has charts which are used each day to record the children’s sleep times, nappy changes and the children’s food and drink intakes through the day. If there are any variations from the norm for any child it is immediately noticed. • Child register form with contact details etc. • Signed Terms and Conditions form. • Change of clothes in change bag. (labelled please) • Nappies if used. • Slippers for indoor’s to be kept in the crèche. • Bottle’s/ Soother if used. We provide cows milk but not formula milk. • Blankets if your child goes for a nap. (labelled please) • Dribblers. • Yogurts or finger food for babies/wobblers may be brought in. The nursery provides a pocket for each individual child in their room. These will have their names on it. There should always be a set of spare clothes in the pocket in case of accidents or messy play. These are individually named storage baskets which are kept in the baby and wobbler rooms. This enables the staff to keep a check on items such as soothers, bottles or any items that the children may take off through the day i.e. shoes, socks etc. It is important that coats and jumpers or any comfort blankets etc are clearly labelled with your child’s name. This will avoid any confusion and upsets to your child and helps staff identify children’s belongings. It is fine to allow your child to bring in toys from home on Friday but please remember to put them into your child’s bag before they enter their class room, as the nursery will not be responsible for toys becoming mislaid or mixed up with the nursery toys. Each child should have a beaker. Any other bottles used through the day which need to be returned home should be given to the team in the morning and will be washed and put into the bag on the child’s hook for collection. We ask that parents bring in a bag of nappies in for their child/children. These are then labelled and stored in the changing room in each labelled basket. The group leader will write it in your book or on the notice board when the nappies need to be replenished. Some of the activities done through the day can be messy, painting and gluing for example. The wobblers’ team members try to keep the effects of these activities on the children’s clothes to a minimum and children will have access and be encouraged to use aprons. 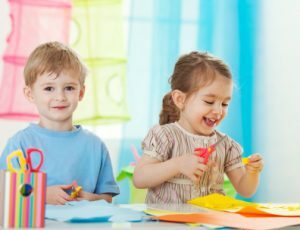 We would remind you not to dress children in good clothes to enable them to play freely and experience the pleasure of messy play without fear of ruining clothes. Always remember to bring in a spare set of clothes at the beginning of the week. If these spare set are not used they should be brought home on Friday and replenished on the Monday.